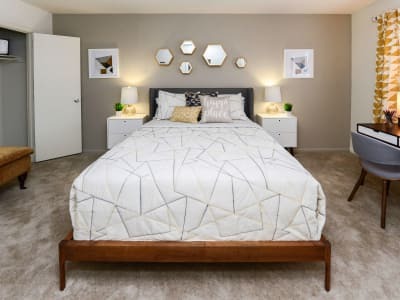 You’ll find everything you’re looking for in a one or two bedroom apartment at Brookmont Apartment Homes. With two different floor plans to choose from ranging from 715 – 830 sq. ft., your new home features a fully equipped kitchen complete with stainless-steel appliances, gas cook top, and pantry for all of your dry goods. Bring the light in with panoramic windows and window coverings and enjoy spacious living with generous-sized closets and 9’ceilings. No matter what, we know you’ll be happy in your new home because we check, inspect, and perfect 101 areas of your home before move in. 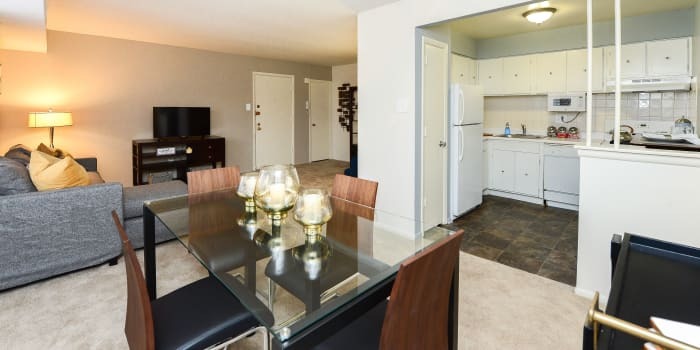 Enjoy the convenience and comfort of everything you’re looking for in an apartment for rent at Brookmont Apartment Homes in Northeast Philadelphia. Find the style you love with two-tone designer paint options and a lighted vanity with sink in every master bathroom. Feel comfortable year-round, with central air conditioning and gas heat. In your kitchen you’ll find all of the appliances you need, including a refrigerator, microwave, self-cleaning oven, and dishwasher. Each building is equipped with key access entry, with select homes offering assigned parking. Plan a visit. We look forward to helping you find the floor plan that’s right for you.